As the frontman of Byron Bay’s Pacha Mamma, Micka Scene cuts an alluring figure. On his own? Positively captivating. 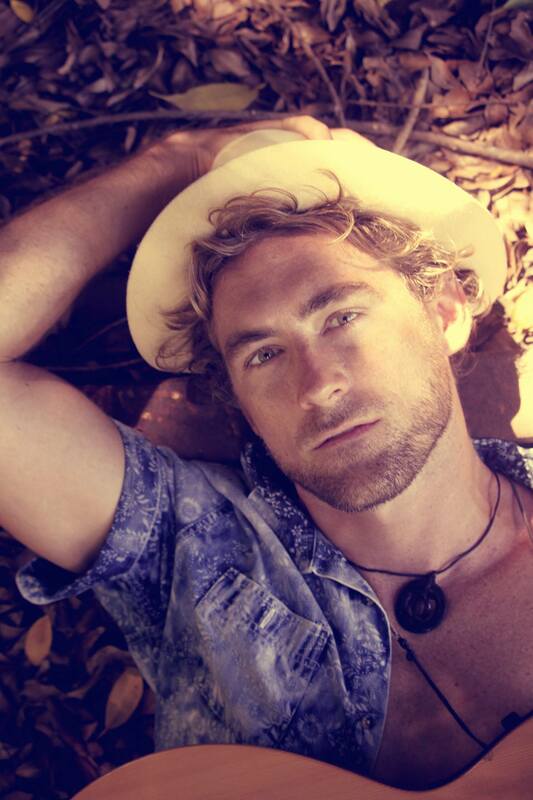 Girl caught up with Micka ahead of his North Queensland shows this weekend. So Micka, how long have you been playing music professionally for now? It’s been six years full-time now! Music as an escape when life makes no sense music has a way of being able to exaggerate your feelings. These times things are shifting and there’s loads to be passionate about. How does your solo songwriting differ to Pacha Mamma? I write and arrange all the songs with Pacha Mamma, I guess my upcoming release this time feels more personal. But there’s more pressure when you’re solo, to record and get it right. There’s a lot more pre-production and perfecting. How do you draw in an audience as a solo performer? I incorporate a big sound with my solo show; I pioneered the Cajon Kick and snare combo at least 10 years ago and have been using it ever since. It’s the rawness, the energy, I believe that people get into! Have you had any good advice or feedback from people you admire? Good advice, “don’t you ever give up!” Haha. Your web site has an activism link – what causes are you passionate about? Coal seam gas mining is a major issue in this country, and we’ve managed to keep it out of the Northern NSW Rivers. There’s not a song written specifically but some songs have indirect relevance. You’ve had some success touring overseas – what are the audiences like over in Canada or Europe? Canada is a big one for me, and France, there just seems to be more artistic culture so it’s appreciated at it’s purest sense. Especially in Europe, even at a bar gig, when the music starts people stop talking and listen and are totally there with you, sometimes in bars here in Australia people don’t appreciate it unless they are there to see your act. If you had to give someone an ‘elevator pitch’ to convince them to come to your gig, what would you say? Contains ingredients everyone will find tasty. Any news on the EP/album front? The album will be released through a label mid-October and will be the first time I’ve worked with a label. Recording will be completed in Sweden this time. You opened the floor for young female singer/songwriters to open for you in Townsville and Airlie – why is that? It always seems to be the guys in this industry that get all the attention, so I thought I’d try and unearth some new music from young females. > Micka Scene will be performing at The Basement Bar in Townsville TONIGHT, Saturday 13 June and a Sunday Rooftop Session at the Whitsunday Arts & Cultural Centre in Airlie Beach TOMORROW, Sunday 14 June. For more information check his web site.